RAGUSA FOR FRIENDS are the delicious chocolates from Camille Bloch which can be shared with friends. Camille Bloch entrusted Enigma with the task of developing and implementing a strategy for the autumn campaign in Switzerland, with the aim of raising awareness of the strong character of the chocolate and expanding its community. RAGUSA enjoys a high degree of popularity in Switzerland. What are less well-known, however, are the RAGUSA FOR FRIENDS packages, which are an ideal small gift that can be shared with friends. This is exactly what consumers should become aware of. Furthermore, the aim of the RAGUSA FOR FRIENDS campaign in Switzerland was to strengthen the RAGUSA brand and expand the community. The campaign focused on the content generated by the active RAGUSA community. Through various social media channels, people were asked to participate in various challenges. The submitted pictures and creative remarks were posted on the interactive landing page. By “sharing” and “telling” us something, the message “RAGUSA zum Teilen” could be ideally transported. The RAGUSA FOR FRIENDS landing page, i.e. the company website linked to user-generated content, can be described as a top innovation. Visitors to the website could get to know the product and its values, order it online and simultaneously become active and help shape the brand. With the submitted content, visitors could take part in the competition and, with a little luck, win a sweet surprise or a RAGUSA adventure day. In a second contest, three pairs of Gold Cards for the Lauberhorn race plus one overnight stay in a hotel were given away. For this purpose, a landing page was set up on which the participants could leave their e-mail address. By sharing the competition on social media, the participants were able to increase their chances of winning. This triggered a social boost for RAGUSA. Tasting stands in Coop supermarkets, sampling campaigns and various social media channels additionally emphasized this contest. Thanks to the contest, thousands of new contacts could be won. To bring users to the RAGUSA FOR FRIENDS landing page, various Facebook and Instagram advertising campaigns, as well as a Google display and remarketing campaign were realized. 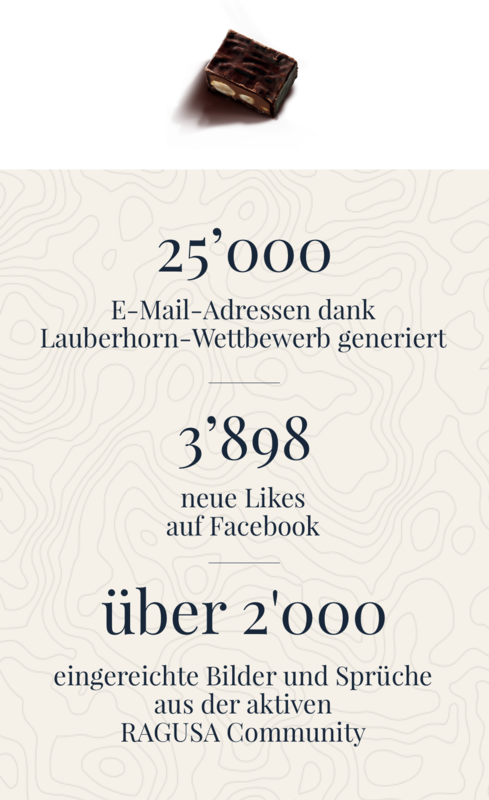 With a reach of around 4.7 million people, more than half of the Swiss population could be addressed. Three times a week, the RAGUSA Facebook community was entertained with posts and invited to take part in challenges and competitions. Thanks to active maintenance and a campaign for more page likes, the Facebook community grew substantially. 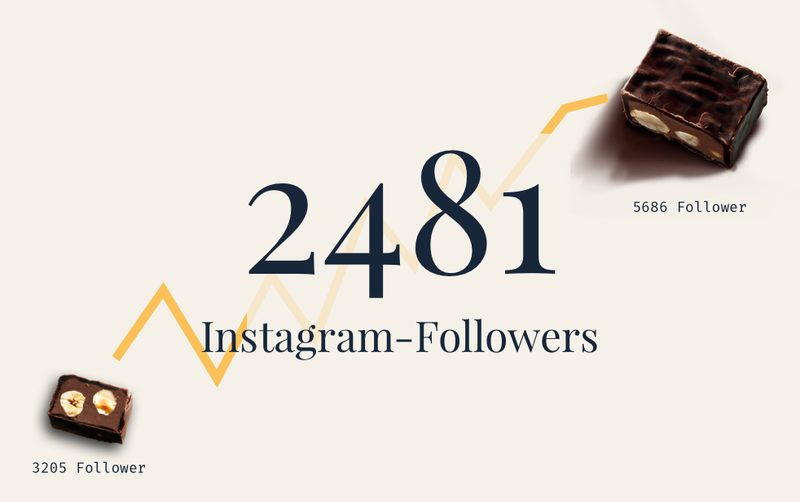 To expand the still relatively modest Instagram community, a bot was used, which was continuously optimized and expanded by the Enigma team. The constantly growing address database was used to send a bilingual monthly newsletter to the RAGUSA community. They were continuously informed about current competitions, the product and the latest events at the CHEZ Camille Bloch visitor centre. 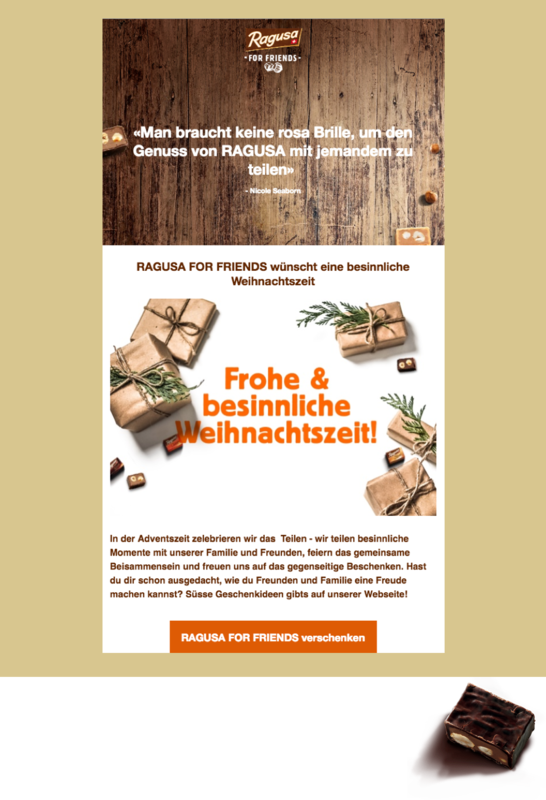 The message “RAGUSA FOR FRIENDS – gleich um die Ecke” was used in hyper-targeted posters and e-panels at the largest railway stations in Switzerland and at various points of sale to encourage consumers to buy. 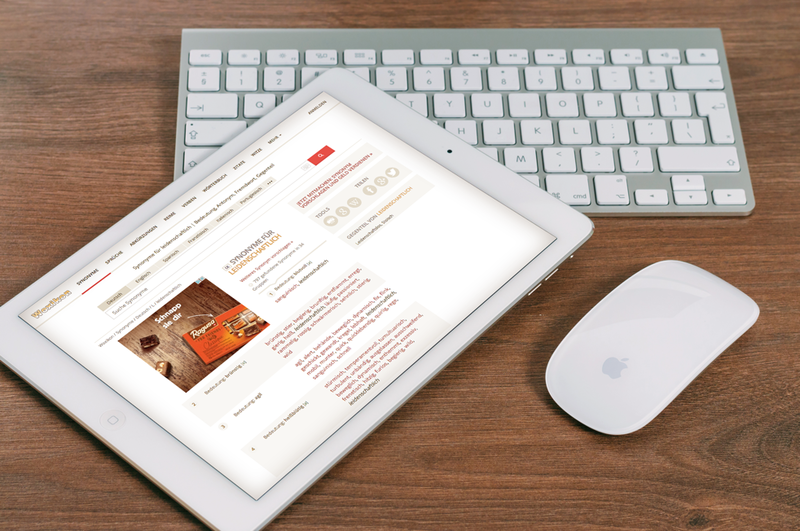 With the campaign, a new innovative product landing page designed within the RAGUSA corporate style was launched. 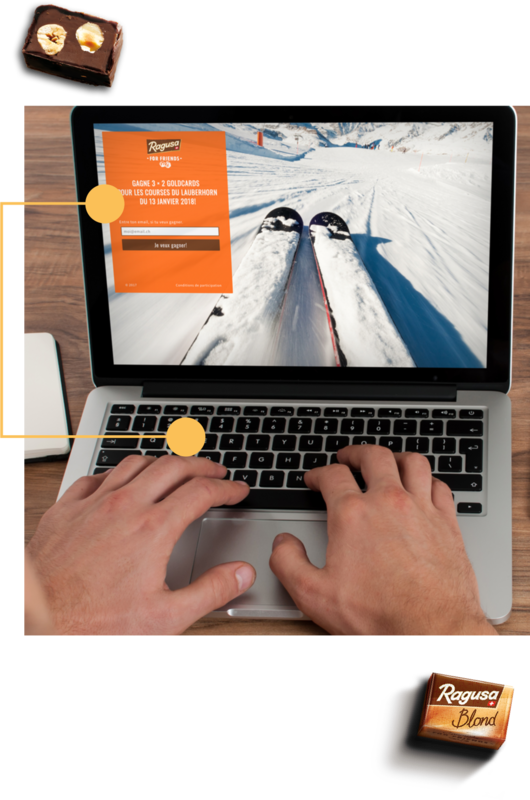 Thanks to user-generated content, this landing page achieved interaction with the community. The active and loyal brand community was strengthened and expanded thanks to exciting content and active communication. Five times more participants than estimated in the planning took part in the 12 challenges announced via Facebook and Instagram. The number of e-mail contacts was increased by 50%.